Size is 22mm or 7/8 inch High x 12mm or 7/16 inch Wide. Charm with choice of attachment. Please see charm option collage photo. 2. Lobster Claw Clasp - spring loaded clasp to attach to most chains, cords, or charm bracelets. Versatile for quick change from one jewelry item to another. Will not fit Euro style bracelets. 3. European Large Hole Adapter - Fits European style thick chain charm bracelets and most round slider necklace chains up to 4mm. 4. Choice of Chain Style and Length - 3 of our most popular chain styles in a choice of 5 necklace lengths. Your charm will arrive on your selected chain. Need a different chain to add to your purchase? Click here for more chain options. We do ship to many countries. And, we are now able to ship via First Class International to select countries where door to door tracking is available. However, on any order over $49.00 US, we will only ship via International Priority Mail, not First Class. Please select the International Priority Mail option if your total order is $49.00 or more, or it will not be shipped without additional payment. If your country does not provide delivery tracking, you will only see the Priority Mail International price for shipping. Arrived on time. It is nicely done. No problems. 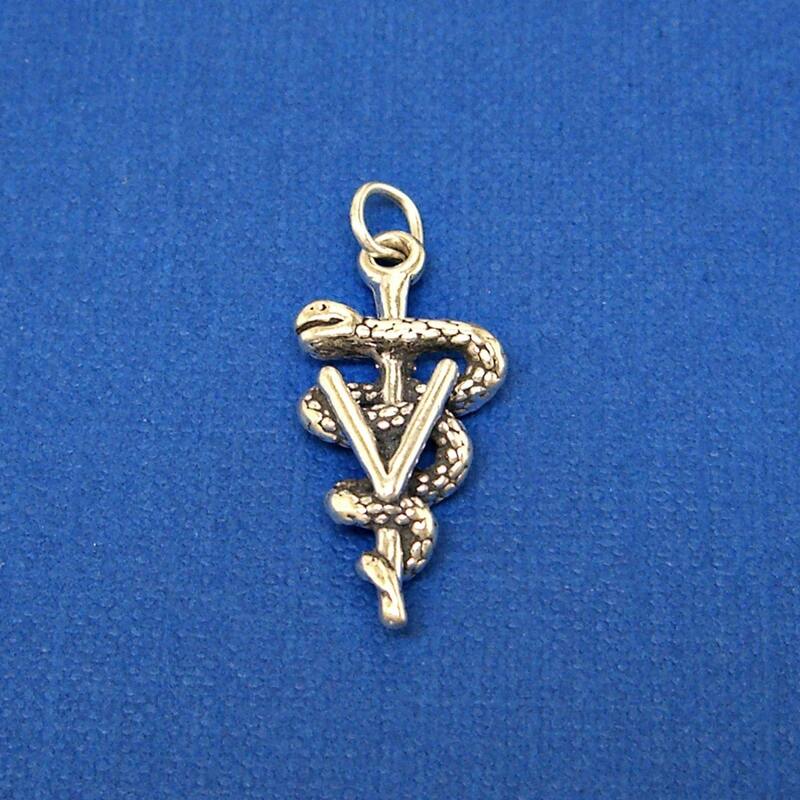 This charm was perfect for the bracelet that I made for my granddaughter as she graduated from vet school last weekend. She loved it. Great quality charm. Thank you so much.